Are there new fundamental particles beyond the known quarks, leptons and gauge bosons? Are these known particles indeed fundamental? Professor Yael Shadmi from the Israel Institute of Technology in Haifa discusses particle physics with Ricky Wojcik and Jane Marolt from Aspen High School. 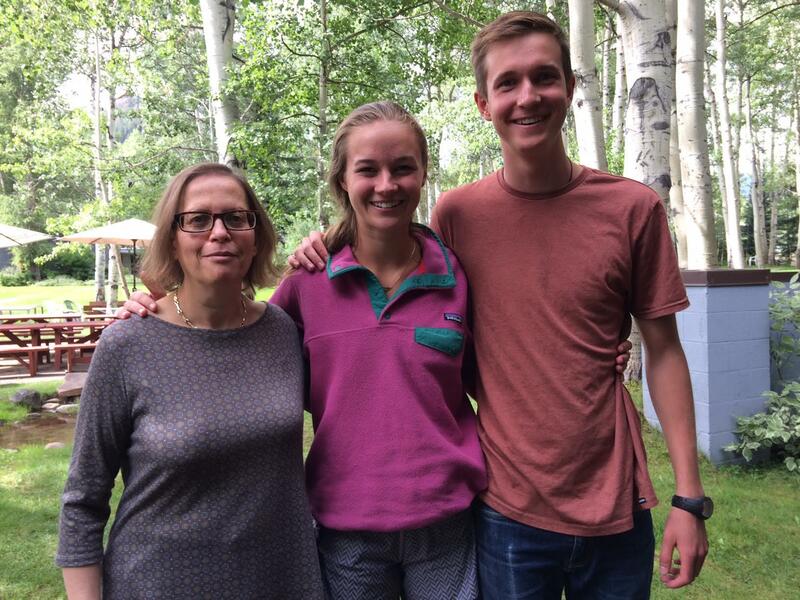 Professor Yael Shadmi with Aspen High School students Jane Marolt and Ricky Wojcik.